The movie starts with the main character Ronny Bhaiya making a train trip without a valid travel ticket. The guy tells the ticket collector that his uncle is a politician and hence he should be allowed entry. Even if he had a valid ticket, and just wanted to avoid going to the platform to make the transit, I do not see the need to challenge local rules and misuse power for individual benefits. Later, when Ronny’s friends are unable to find his name in the train passenger list, it becomes pertinent that he was hoaxing his train travel. This is definitely not something that Indian youth should be watching. The second mind-opening instance where I found irresponsible content was when Ronny and his friends decided to drive without helmets on. Only one of the three friends wears a helmet. This is again not something we want to promote in India where there are several deaths due to road accidents everyday. On the top of it, in the second scene involving scooter/bike, traffic police is given as an excuse. Passenger safety is surprisingly ignored in the entire movie. Not a decent education piece. Thirdly, the movie fails to display “smoking is injurious to health” warning in the scenes where the police officer Singham smokes a cigarette. I don’t understand how and why do movie makers need to promote smoking as a habit of tough people or heroes. I do not see this happening in real life. Fourth, the movie also encourages the so called “Satta” or “Gamble” which itself is an illegal practice in India. 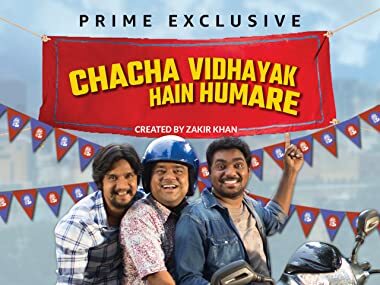 I would request Zakir Khan and his team to kindly consider the social implications of his movies on the Indian youth before writing and acting on such scripts that encourage unethical acts, and unhealthy habits.